MESA's daily schedule is similar to a typical, professional work day. 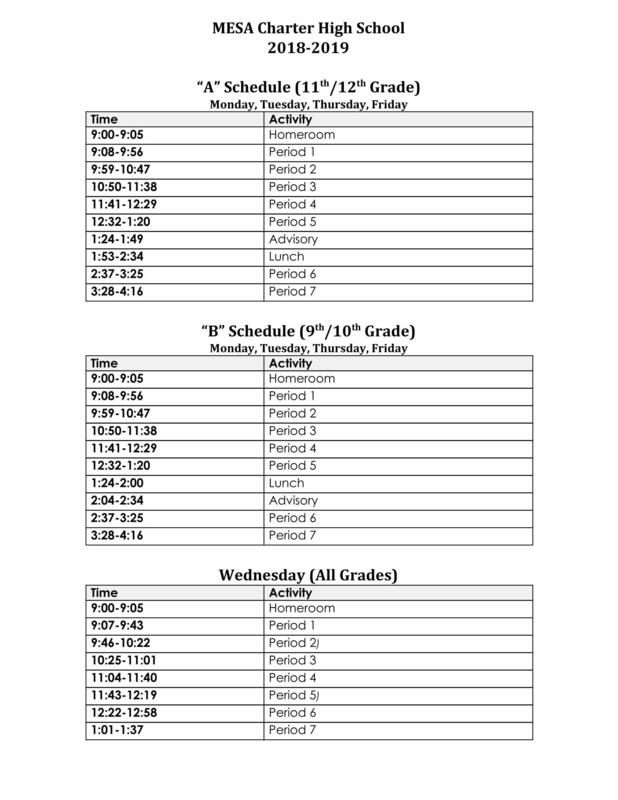 Homeroom begins at 9:00am and students are dismissed at 4:16pm each day except Wednesday. On Wednesdays, students are dismissed at 1:37pm. Class periods are 48 minutes long; on Wednesdays, class periods are shortened to 36 minutes. Every day except Wednesday, there is a 25-minute advisory block and the lunch period is 41 minutes.